At the 2016 Freedom Fest Unlock Your Wealth Radio welcomed Paul Dykewicz, author of the inspirational book, “Holy Smokes! Golden Guidance from Notre Dame’s Championship Chaplain.” and editor of Eagle Daily Investor and the editorial director of Eagle Financial Publications in Washington, D.C. as Heather Wagenhals interviewed Mr. Dykewicz on debt relief for the American people. something to transform their lives. As an accomplished, award-winning journalist who has written for Dow Jones, USA Today and other publications, as well as served as business editor of a daily newspaper in Baltimore, Paul Dykewicz volunteers for a faith-based organization to assist the poor in Southeast Washington, D.C., to learn personal finance skills to lift themselves out of debt. Tune in to this interview to find out the one piece of advice Paul offers to individuals who are struggling in debt and the path of debt relief. where you’ll find our featured Key for the week. 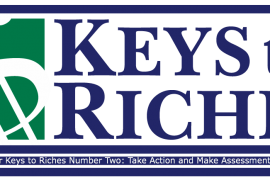 Tune in this week’s Keys To Riches HERE! 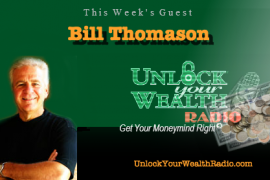 You can listen to the Unlock Your Wealth Radio Show, which specializes in a unique brand of financial literacy, every Friday morning as host Heather Wagenhals reveals experts advice in real estate, investment, money management and more! 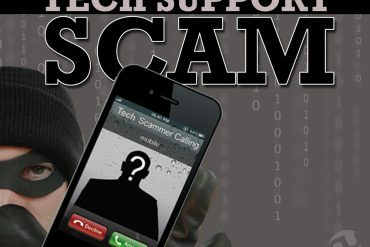 Tune in on Blog Talk Radio and the Libsyn platform for a variety of podcasts.